The Book of Mormon claims to be a history of ancient peoples inhabiting Central America until 421 A. D.
Archaeologists and other researchers after 1830 confirmed that such ancient civilizations and cities, similar to those described in the Book of Mormon, did exist. Therefore, this shows that the Book of Mormon is accurate and must have been translated by the power of God as Joseph Smith claimed. History of Mexico by Clavigero (2 Vols. ), lst English edition in 1787, 2nd in 1807, translated by Charlie; Cullen; A Star in the West, by E. Boudinot, 1816; Spanish Colonies, by Walton, 1810; Researches in Mexico, by A. De Humboldt, translated into English by H. M. Williams, 1814; History of America, by Herrera, 1725; A View of S. America and Mexico, by Niles, 1826; Spanish America, by R. H. Bonnycastle, 1818; European Settlements in America, by Burks, 1808; Bullock's Mexico, 1824; Researches on America, by James H. McCullah, 1817; Archaeologia Americana, 1820; Notes on Mexico, by Poinsett, 1825; The American Geography, by Jedidiah Morse, 1789; History of the American Indians, by James Adair, 1775; The Hope of Israel, by Manasseh ben Israel 1649-1656; View of the Hebrews, by Ethan Smith, 2nd Ed., 825; The Wonders of Nature and Providence, by Josiah Priest, 1824. The books by Priest, Smith, Mannasseh ben Israel & Adair all presented the then popular theory that the American Indians were in reality decendants of Israelites. Regarding this book by Priest: it was copy-righted June, 1824 in the office of R. R. Lansing - the same office in which the Book of Mormon was copyrighted! "For example, some popular 'Mormon' books show pictures of classic Maya, Inca, and Aztec ruins and attribute them to the Nephites. Scholars are aware that these civilizations postdate Book of Mormon times. 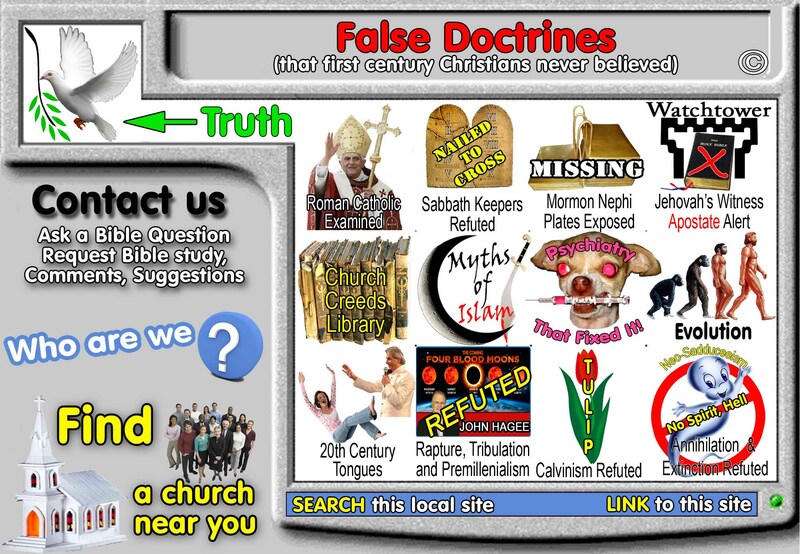 Other gross errors include the use of out-dated or otherwise unreliable source materials and the tendency to make every piece of evidence fit neatly into the Book of Mormon picture, whether it belongs there or not." - U.A.S. Newsletter, No. 54, Nov. 19, 1958, p. Z. Dr. Dee F. Green, LDS Archaeologist and the editor of the University Archaeological Society Newsletter at B.Y.U. Most Bible cities have been located with Bible. Archaeologists have never successfully used the B of M as a guide in locating ancient ruins. Archaeologists have and still do successfully use the Bible as a guide in locating ancient ruins. The B of M was translated from "reformed Egyptian". Nothing on the western hemisphere has been found that even remotely resembles Egyptian. Officially "reformed Egyptian" doesn't exist. The Bible was translated from Hebrew, Aramaic and Greek. These languages are taught in today's universities. There are no manuscripts or "reformed Egyptian" writings available. None of the "gold Nephite plates" exist to examine and compare the English translation of the B of M.
The English Bible is supported by thousands of Greek & Hebrew manuscripts along with at least 2 compete copies of the Bible from 300AD. All manuscripts are available to public at any time.